- Developing an in-depth understanding of our prospects/clients, building relationships for success, influencing prospect and client decisions and execute strategic sales plans. - Differentiate the American Express value proposition, develop an in-depth understanding of the market/region and source, to independently build/manage an effective pipeline. - Optimize the value of business proposition and maximize the return to meet aggressive sales growth targets. - Own and deliver the outcome. - Prospect conversion and new billings generation, win-to-trade, new booked volume and carry over volume targets. - Drive the sales to approach internally with stakeholders as well as externally with customers and ensure that the necessary resources from all parts of the organization are aligned appropriately with our opportunities. - Conduct business reviews/implementation updates to ensure success and appropriate progress. - Independent day-to-day management of client issue resolution and operations linkages where appropriate. - Regular interaction within Corporate Services business including alternative sales channels, Customer Service & risk. - External Frequent and ongoing contact with Senior Management, Controllers, Treasurers and Corporate Travel Managers of major Corporations to sell or expand the use of Corporate, Business Travel products, B2B Business. - Build partnership and trust with the accounts in the portfolio. - Boards of Directors, Heads of Finance, Heads of Purchasing, HR and Admin, Travel Associations, 3rd party travel agents, Internal Senior Management Corporate Services, Card Operations Senior Management Planning & Pricing, Local Sales teams. Marketing, Consultancy. - Development of solutions to customer related problems, enabling High Value managed accounts to continue to perform in a profitable way. - Strategic decisions relating to investments and budgets for accounts. - Develop strategic concepts with regard to the complex potentials of Card and account specific sales strategy, using the TAS sales acquisition methodology. - Deciding which services and tools will be implemented for an opportunity, does it address the overall objectives, as set out in the sales plan. - Management of pressure on the discount rate arising from management fee pricing between Corporate Clients, 3rd Party agents, and or Principals. Mobilize resources, (subject matter experts, from across all areas of Amex and joint ventures, / other business partners to enable the sales and account management team to deliver on commitments. - Professional sales experience (Strategic selling and Negotiation skills) to sell to the most complex accounts with a potential Card billings volume typically in excess of $2M. - Should have been rated a G2L2 at least (last 2 yrs). 1. Understanding pricing and its impact on the relationship between corporations, travel agents and principals. 2. 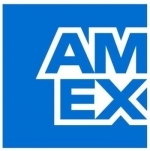 Ability to drive and/or facilitate change within the client's organization as well as within Amex. 3. Excellent oral fluency and written business communication skills. 4. Thorough understanding of all aspects of the competitor's business travel and corporate account activities. 5. Good general business knowledge and awareness of international business issues - strong awareness of the impact external factors (Political, Legal, Economic and Technological ) will have on client and American Express business.